So many qualities define the life of a Cooperative Hall of Fame hero. Conviction and focus. Vision and persistence. Innovation and leadership. All contributing to a life dedicated to cooperative development and shared prosperity. These characteristics are a perfect way to describe Rosemary Mahoney and Paul Bradley, lifelong champions of cooperative development. This week, Rosemary and Paul join other cooperative heroes as they are inducted into the Cooperative Hall of Fame, commemorating decades as cooperative developers. 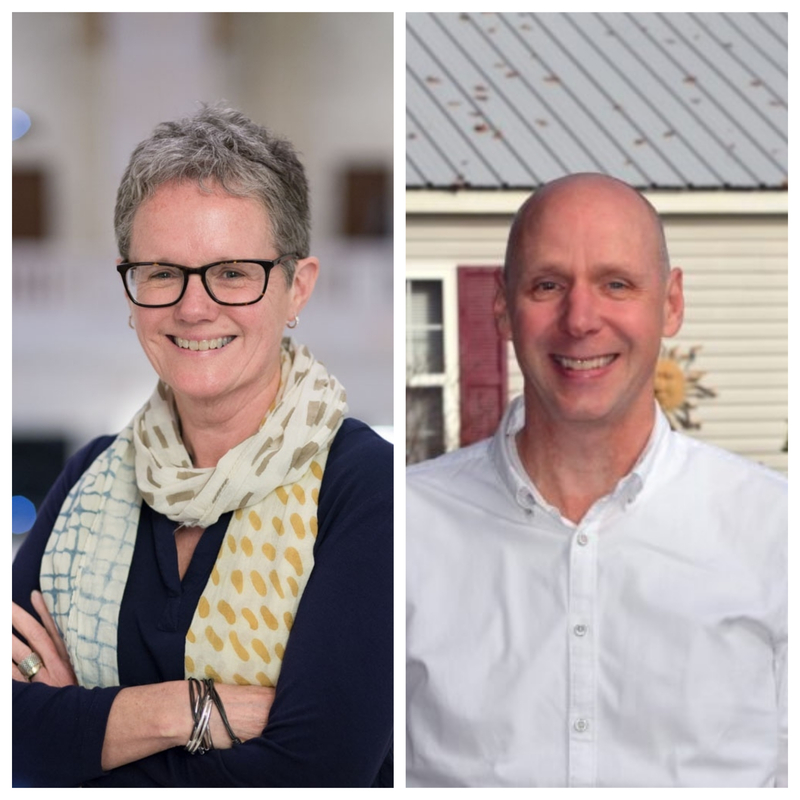 Rosemary and Paul’s contributions to the cooperative industry are undeniable; both have shaped our cooperative framework through their work and insights. It is great to have two long-term innovators in the co-op space so closely connected with Capital Impact, and we are proud to see them join this illustrious group of cooperative visionaries. A brief look at each of their histories shows why they are truly Co-op Heroes. 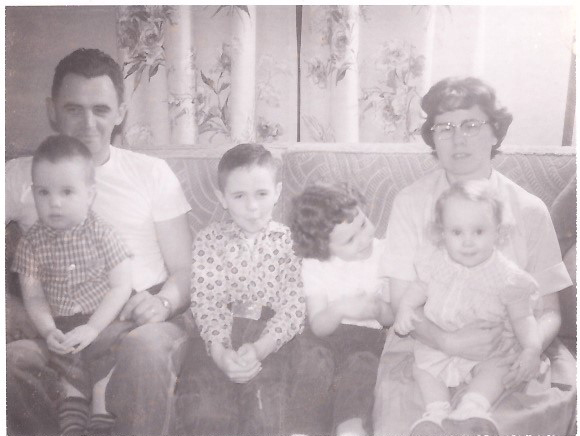 Rosemary’s childhood community was served by several cooperatives, so she knew about her future calling from a young age. Rosemary’s involvement in cooperative work grew from there. She has worked with more than 25 start-up cooperative enterprises around the world, including 15 successful cooperative consulting projects in Africa. Rosemary worked across the country providing technical assistance and guidance to communities interested in the co-op model. Throughout her career, Rosemary has always focused on expanding the reach and impact of cooperatives, knowing that they could transform the lives of owners, workers, and entire communities. One of Rosemary’s most successful projects at USDA was the Coulee Region Organic Produce Pool (CROPP), a collection of family farmers in southwest Wisconsin who wanted to market organic dairy products. The cooperative became what is now Organic Valley, a 2,000-member farm co-op based in La Farge, Wisconsin. 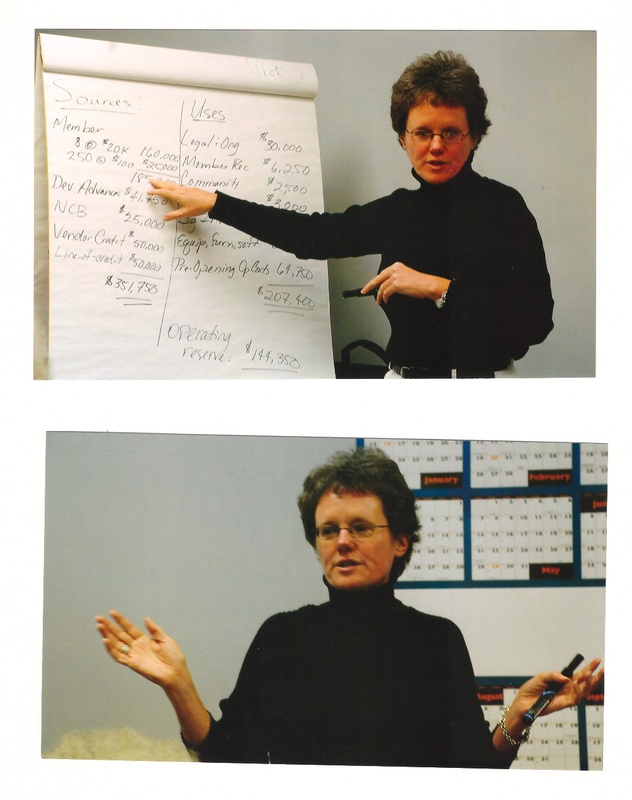 In the early 2000s, Rosemary helped reorganize the National Cooperative Grocers Association. Thanks to her leadership, National Co+op Grocers is now a business services cooperative with 148 food co-ops operating more than 200 stores in 37 states. 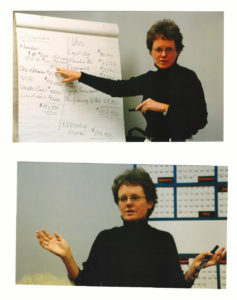 Additionally, Rosemary has long advocated the community development potential of ‘hybrid’ cooperatives – in which workers and consumers own cooperatives jointly – and was the founding board chair of CooperationWorks!, a national network of individual and organizational members championing cooperative development. She also helped launch Blue Hawk Distributor Cooperative, which serves independent heating and air conditioning businesses, and for several years coordinated the Purchasing Cooperative Conference with the support of the National Cooperative Bank and the National Cooperative Business Association. Rosemary has impacted cooperative development in the United States as well as around the world. Rosemary began working with Volunteers in Overseas Cooperative Assistance (now ACDI/VOCA) in 1991, bringing the cooperative model to the Czech Republic, Slovakia and Hungary, supporting rural women and farmers across Central Europe. 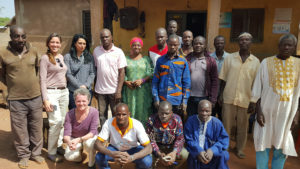 Cooperatives around the world, including in Côte d’Ivoire, have been supported through Rosemary’s dedication to co-ops. She returned to the international co-op sector later in her career, helping the International Finance Corporation include cooperative development support in its agricultural advisory services. She also assisted in developing the Agribusiness Leadership Program, a cooperative leadership training program for small-holder farmer organizations. Rosemary’s fortitude has taken her across Africa and Latin America to support communities as they have started burgeoning cooperative businesses. One of the most impactful aspects of Rosemary’s legacy has been her focus on innovation. Having existed for many years, cooperatives are not thought of as synonymous with innovation; they are a tried-and-true model for community development and empowerment. However, Rosemary saw the need for cooperatives to innovate to document and increase their impact in communities. Rosemary’s innovative spirit led her to collaborate with Walden Swanson to build CoMetrics, a technology company that pioneered the idea of using data strategically to improve the performance and impact of cooperatives. CoMetrics also helped the USDA create a new rural cooperative development center to support rural cooperatives. Rosemary’s visionary interest in using data to measure and improve cooperative business performance continued in her role as head of Cooperative Development Services (CDS), where she introduced the idea of using financial benchmarking tools to strengthen the operations and finances of cooperatives. Recognizing that urban co-ops need equal assistance to rural co-ops, Rosemary helped establish CDS Consulting Cooperative, which has become the premier source for professional and technical assistance to food co-ops. 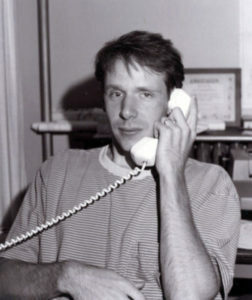 During Mahoney’s tenure at CDS, the organization grew from $750,000 in revenue in 1997 to nearly $2 million by 2000. In 2005, Mahoney helped secure the .coop domain name for use by any business organized as a cooperative. Now more than 750,000 cooperatives, with more than 85 million members in 100 countries use the .coop domain name. Mahoney continues to serve as a senior advisor at CoMetrics and has served on or is serving on more than 13 boards, including The Cooperative Foundation, NCBA, Capital Impact Partners, National Cooperative Bank, dotCoop and CooperationWorks! Paul Bradley of ROC USA, a long-time partner of Capital Impact, has spent 20 years in cooperative development in New Hampshire. He served as Vice President for Manufactured Housing at the New Hampshire Community Loan Fund, where he led the implementation of the Loan Fund’s entrance into retail single-family lending in resident-owned communities, a program which won the 2009 Wachovia NEXT Award for Innovation in Community Development Finance. Paul Bradley has supported cooperative development for decades, and created a movement empowering communities to achieve greater economic opportunity. In 2008, he founded ROC USA, which, with its nine affiliates, supports communities of manufactured homeowners to form co-ops to purchase and manage their neighborhoods in perpetuity. ROC’s mission is to make quality homeownership viable for communities nationwide and to expand economic opportunities for homeowners in manufactured (mobile) home communities. Since its founding, ROC has supported 14,000 homeowners in nearly 220 resident-owned communities across the country. Capital Impact has supported ROC USA’s work for years, as a founding investor and by financing their transformative co-op conversion model through specific co-op conversions, helping more communities achieve their dreams of ownership and take control of their communal destiny. In addition to his accolades with ROC, Paul was selected as an Ashoka Fellow in 2011 and was named the University of New Hampshire’s Carsey Institute Social Innovator of the Year in 2013. We are extremely proud that the tireless efforts of both of these cooperative heroes are being recognized and that they will join many other co-op champions memorialized in the Co-op Hall of Fame. Congratulations to Rosemary and Paul!